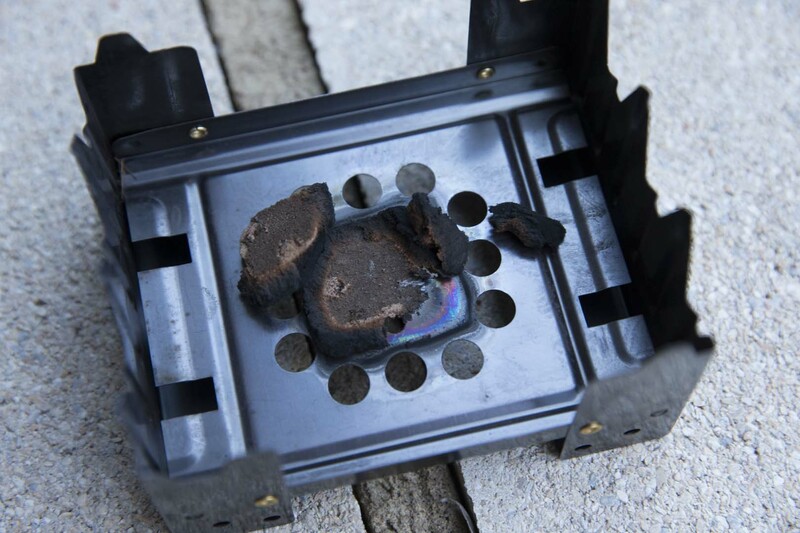 May 24, 2016 By John P.
The WalMart near my house sells some little UST Folding Stoves that come with 8 fuel cubes. The amazing thing is that this kit only costs about $5! So, the question is… how good is it? 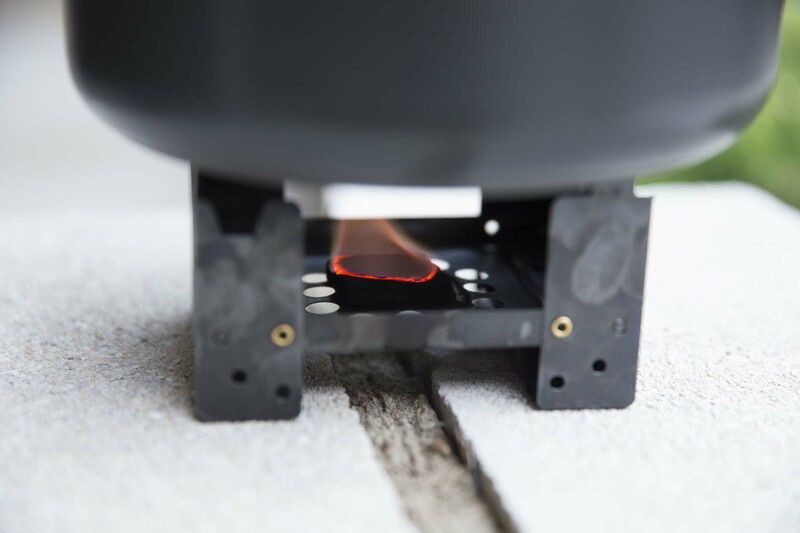 The UST Folding Stove is lightweight, sturdy and ingeniously designed to fold into a cube that will actually hold solid fuel tablets inside. The two sides flip up and it’s strong enough to hold pretty much all but the biggest pot. And frankly you wouldn’t be able to heat a huge pot on it anyway. Sizewise it’s about the size of a couple decks of playing cards, and it only weighs a few ounces if you exclude the fuel tablets. 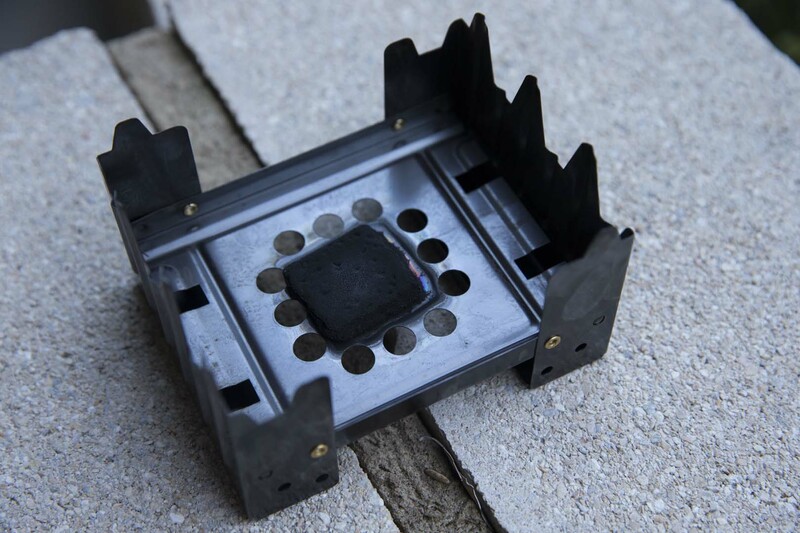 The $5 kit from Walmart includes 8 small fuel tablets each measuring 1.5″ x 1.5″ x .5″ and weighing .8 ounces. The box claims that “Each cube burns for approximately 18 minutes”. So, I lit one up! 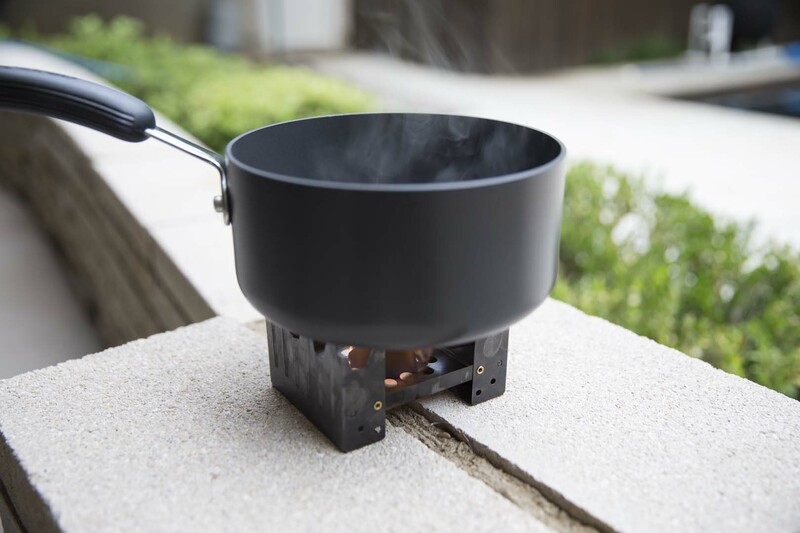 I put a medium sized hard anodized aluminum pot on the stove with 4 cups (32 ounces) of water in it. I figured with 18 minutes of direct heat we should be able to get that pot to boil, and then try and figure out what to do next with the remainder of the time! I lit the cube with a pocket torch and it began to burn uniformly. After just a couple minutes steam began to emanate from the water, and I began to get excited! 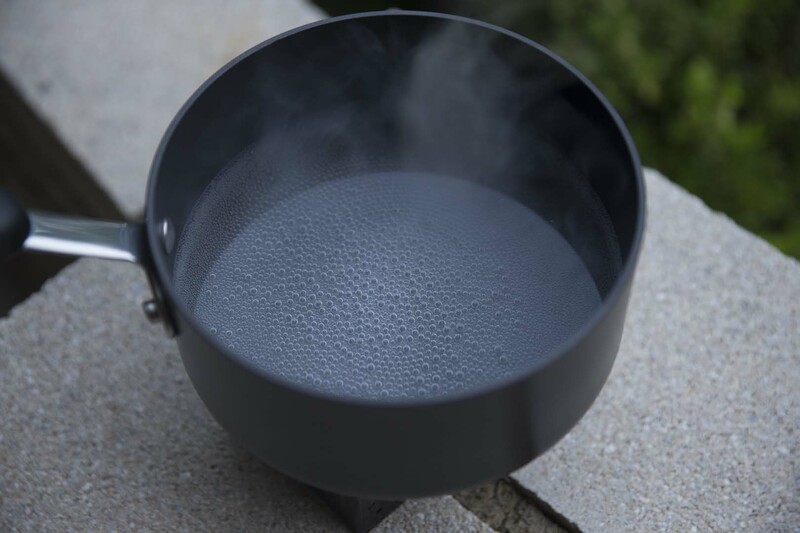 Eventually the little bubbles appeared on the bottom of the pot like they do right before water boils. But about that time the cube began to sputter and shortly after dwindled and died. It lasted no more than 10 minutes, and wasn’t able to actually get the water boiling. I’m guessing that if I only tried to boil half the amount of water, or used two tabs, we’d have gotten it done. But it definitely doesn’t excuse the massive exaggeration about how long the fuel lasts. I was actually pretty disappointed that the fuel didn’t last as long as they said it would. But after I thought about it, the fuel was practically free given that I only paid $5 for the whole kit with fuel, even though the stove itself is normally about $5. So really, it’s quite a deal! And I have to say – well worth picking one up! 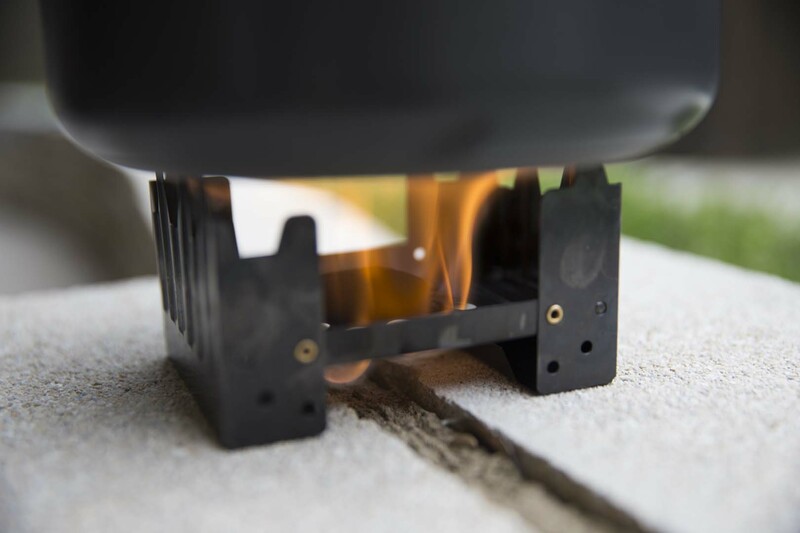 If you can pick up the kit at WalMart, you might as well have one or two for emergencies, or camping, but otherwise you can get the UST Folding Stove by itself on Amazon, and it can burn several different types of fuel. I swear I could sit on this friggin site all night! Very cool topics you choose.